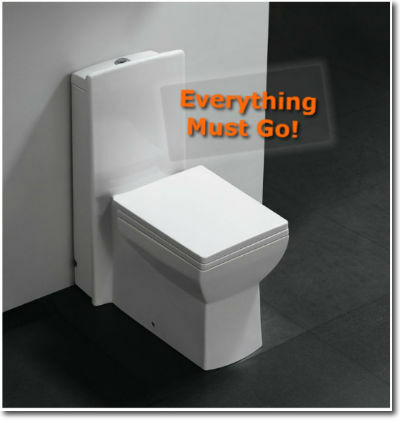 This was submitted by a fan who thought we could use it if we had a sale for our modern bathroom toilets. Laughs were soon followed by face palms. Btw, that you’re looking at here is our Pesaro Modern Bathroom Toilet, single piece dual flush system. "Lame Joke Alert!" was written July 23rd, 2012	by theinteriorgallery, and filed under Jokes and tagged dual flush toilet, X modern bathroom toilet. ↓ Jump to comments or follow responses via RSS.